Written by Michael Small, Executive Director, Renewable Cities. This op-ed originally appeared in the November 26, 2015 edition of the Vancouver Observer. In a week’s time, government leaders from around the world will arrive in Paris to go about the tricky business of negotiating a new UN climate pact. While the world has immediate security concerns on its mind, the importance of a long-term environmental accord to the lives and livelihoods of billions cannot be understated. 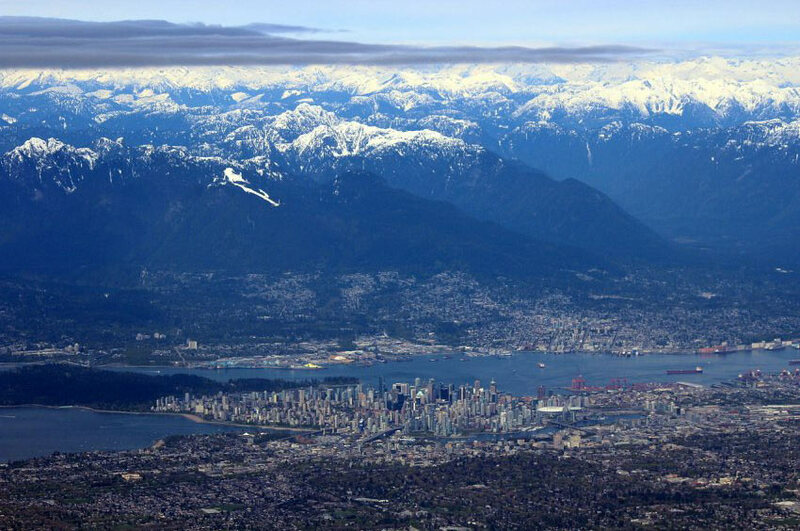 In this respect, a decision by Vancouver earlier this month will speak loudly to the rest of the world that “Canada is back” on the world stage in the fight against climate change. The attention of Canadians is now squarely focused on how Canada’s new prime minister will handle the challenge. They should be: Canada is one of the world’s highest per capita emitters of carbon pollution. Our new federal government is attracting international attention by putting climate change high on its political agenda. The big question is how Canada’s different levels of government will work together to deliver on concrete, credible, emissions reductions. As a first step, on November 23, Prime Minister Trudeau convened a meeting with Canada’s premiers—many of whom are going to Paris—to discuss a united approach to dealing with climate change. When asked recently by CBC why the provinces figure so prominently in the global fight against climate change, Manitoba Premier Greg Selinger answered that it’s the provinces that have the policy levers and are responsible for much of Canada’s emissions. While that may be true, it’s not the entire truth. Napoleon Bonaparte once said, “Secrets travel fast in Paris”. One secret that will make the rounds quickly among international delegates in Paris is that cities around the world have recently been doing much of the heavy lifting on emissions reductions. Increasingly, they are also co-ordinating with each other to provide an alternative strategy to relying on top-down international negotiations. In Vancouver’s case, city council unanimously adopted its Renewable City Strategy on November 4th, which will set the city on course to use 100% renewable energy in its electricity, heating and cooling, and transportation sectors by 2050. How was this possible? Buoyed by abundant hydropower and a provincial carbon tax, the City adopted its Greenest City Action Plan in 2011, which pledged to eliminate its dependence on fossil fuels. With this new strategy, Vancouver now has a concrete plan to achieve that goal in a specific time frame. Cities are home to 80% of Canadians and they are responsible for approximately 75% of the world’s emissions. They’re very clearly an enormous part of any potential climate solution. We’ve come a long way from Vancouver and Toronto’s early climate leadership, beginning in 1990. Now, hundreds of cities around the world have joined various formal and informal networks to make pledges for deep carbon pollution cuts and support each other along the way. Cities are realizing that enormous livability and economic gains can be realized through forward-thinking climate initiatives. We’ve reached the age where environmental policies have gone mainstream: they’re now also health, energy, and economic development policies. The promotion of cycling infrastructure yields zero-emission transportation options that keeps populations healthy—Calgary and Surrey have learned these lessons and are building bike lanes as quickly as possible. Natural gas, which is predominantly used to heat buildings, is cheap for the moment, but cities like Burlington, Vermont, got fed up with fossil fuel price volatility and recently moved to hydro, wind, and biomass. Other municipalities, like Boston and Guelph, have noted the enormous amounts of energy wasted by buildings and are mandating energy benchmarking and retrofits to help measure and help fix the problem. While none of this is secret, it’s the most effective climate action the world has never heard of. What’s the other story in this quiet urban-led climate revolution? It’s the number of cities that have pledged to adopt 100% renewable energy. Municipalities are re-framing the case for climate action around a positive goal: to use only clean and renewable energy, all of the time. Hydro, wind, solar, biomass and biofuel, geothermal and new storage and smart-grid technology are finally making the goal of 100% renewable energy possible. Small cities like Reykjavik, Aspen, Colorado, and Burlington have already achieved this in one or more sector. Larger cities like Vancouver, Sydney, Munich, Frankfurt, and San Francisco have legislated it. They have each set a 100% renewable energy target and are cooperating to help each other reach that goal within their own time-frames, ranging from 2025 to 2050. The City of Vancouver’s Renewable City Strategy will be on display at COP21 in Paris. While it now has one of the world’s most ambitious and well-thought-out plans to achieve 100% renewable energy, most of its measures—especially for dramatic improvements in energy efficiency—could be implemented by any Canadian city. Canada’s new Minister of Environment and Climate Change, Catherine McKenna, has said that the old government’s GHG targets represent a “floor”. In co-operation with other levels of government, Canadian cities can achieve significant new emissions reductions that go well beyond what Canada has already pledged. That will help our new PM demonstrate that Canada truly is back on the world stage when it comes to delivering credible action on climate change.